Smartwatch is the revolutionary device introduced in the 20th century to make people's life easier than ever. Imagine enabling the internet search, tracking all the exercise records, pay grocery bills without your wallet, control home apps from office from a single wrist watch. That's right and that's exactly what smartwatches are capable of doing these days. You will be surprised to see that the latest Android smartwatch can even reply to text messages, launch Google Assistant, open numerous apps and so on. Everything can be done with the watch that you wear regularly on your wrist. It is quite understandable that tons of smartwatches are available from various brands. This may be a bit confusing to make the right decision. But, we have tested and reviewed tons of smartwatches and came up with the best 5 Android smartwatches of all time that you must have a look on. One the most stylist Android smartwatch is LG Watch style. It has a stainless-steel body with a classic circular display. Not to mention, it has been awarded for having the thinnest body of all the smartwatches available in the market yet with a bare minimum of 10.8mm. It simply means that not only this watch looks great on your hand but it can even perform countless activities that most smartwatches fail to perform. Additionally, LG Watch Style also has the feature of totable crown that assists to navigate the UI without affecting its little screen. Ticwatch E is a well-known Android smart watch which is used by thousands of people around the world. Ticwatch E offers one of the top most hardware settings with a reasonable price. The cost is comparatively lower than other brands considering the amount of specifications this watch has to offer. Ticwatch E has all the smartwatch features including heart rate monitor, exercise tracker, GPS and so on. It is very accurate and the design has a premium look. What's best about this smartwatch is that it can run for a full day with a single charge. However, it doesn't support wireless charging. Overall, if you are in a budget then definitely Ticwatch E is a must pick. 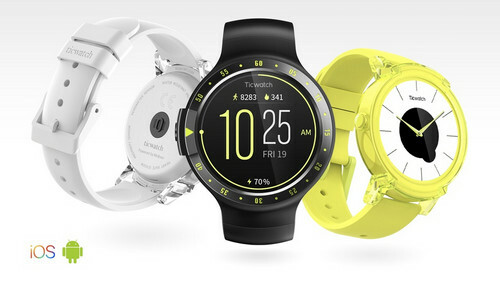 This is an official Android smartwatch offers from a fitness tracking company named Misfit. No wonder, Misfit Vapor watches looks amazing in anyone's wrist but never the less, it offers indefinite number of features that's beyond your imagination. 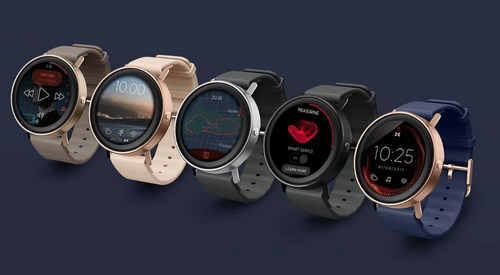 Misfit Vapor definitely has liter design than other smartwatches but the features provided by this watch cannot be neglected at all. It definitely has all common features like other smartwatches but the best past will be its long battery life. 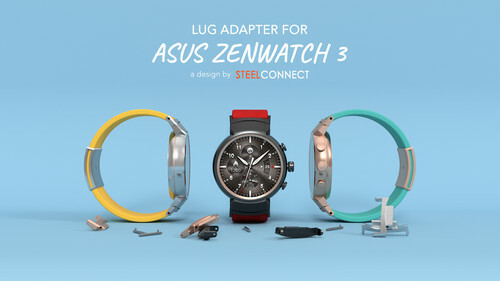 Asus ZenWatch series has been releasing from quite a while now with huge disappointments. But honestly, the latest ZenWatch 3 is way better than any other versions of this smartwatch. The latest ZenWatch 3 is installed with the latest Android Wear 2.0. It has an amazing display, easy hardware buttons and moreover, the battery life is comparatively longer than others. We will definitely recommend you to look at this smartwatch considering the price is comparatively low. When we are talking about advanced technology, it's sure that China will definitely way in. 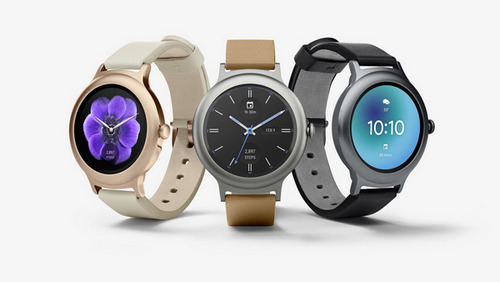 And Huawei Watch is an astonishing attempt by the Chinese fortune company to expand the Android Smartwatches uses. Huawei certainly tried to install many features in Watch 2 but it is not yet pretty clear if it was successful or not. Watch 2 has in-built fitness tracker, GPS and other tracking widgets with a 4G connection model. However, the screen is pretty small and sometimes, it doesn't seem to work perfectly. But considering the cheap price, it is totally worth buying to explore the smartwatch industry. Well, it is extremely hard to find the perfect candiate from hundreds of chocies. That is why we made such a list. The above ones are the best we have tested. However, there are more alternatives if you don't like the recommended one in here. Kindly leave your comment so we can update the list and make it more accurate.